After playing Devil May Cry 4 with the dude formerly known as Hiihi, we both decided to do a series of wallpapers on the game. We each did a solo wallpaper, mine featuring Nero (because I get the pretty boys...) and his featured Dante. Do check out our collaboration project. But enjoy this one as well! I like the effects you used on Nero. Very pretty. WOW nice light effects. 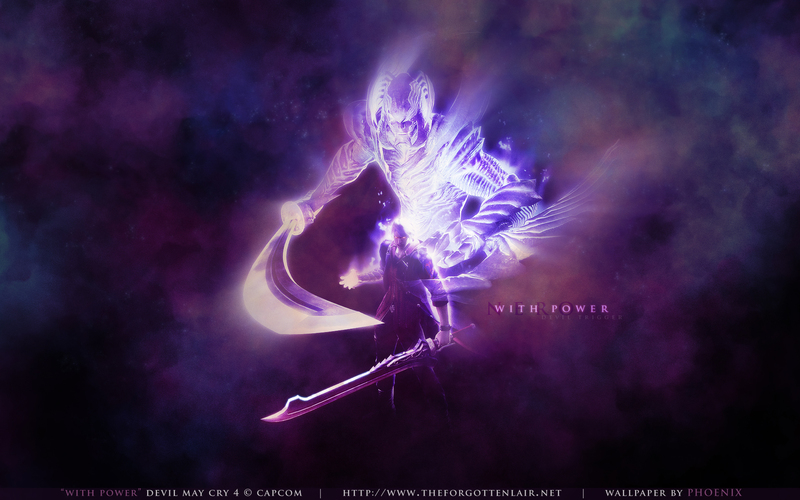 A very awesome wallpaper great work.